Home Printer Tips Why is Printer Ink for Your Business So Expensive? Modern home printers are relatively cheap, however, the same cannot be said for the ink which goes in them. Around the world, the prices of printing ink soar year-on-year and are in some places more expensive than gold, champagne, and even human blood. Many companies and people are now placing an emphasis on paperless business habits, however, if you cannot ditch paper just yet and simply must use it, there are many ways you can save money by making better ink purchasing decisions. Although it seems like a good idea to buy a relatively cheap home printer, this can end up being more expensive in the long-term as printing ink for cheaper machines is more expensive, especially when you buy the official manufacturer’s inkjet cartridges. The reason that many ink jet printers are relatively cheap is because manufacturers such as HP and Canon sell their devices at cost price (or, in some cases, a loss!) in an attempt to persuade consumers into buying their products. To make its money back, the manufacturer uses their official ink jet cartridges – they know that their printers cannot be used without ink and by pricing cartridges highly, they are able to recuperate their losses and make a profit. Consumers are unlikely to buy a printer and then never refill their ink, and the profit margins for ink are much, much higher than the profit margins for the physical printers themselves. Even if manufacturers are to make a slight profit from the sale of their printers, most of their profits come from ink – they would much rather sell you a cheap printer and make their money back on a consistent basis through the sale of their inks. Printer manufacturers operate using the same model as the manufacturers of many popular grooming products such as men’s razors. By selling their branded razors cheaply, they can earn a consistent profit through the sale of expensive blades further down the line. The profit margins here are better because the consumer only needs to purchase one or two razor blade handles, but in-order to keep using the razor blade handle they’ll have to keep purchasing replacement blades. In addition to this, several manufacturers program their printers to only accept official and more expensive cartridges. If a consumer attempts to use a non-branded “compatible” cartridge in their printer, it simply will not work. This is done using microchips which can be read by the printer. In these cases, the printer will refuse to register the cartridge and you will not be able to print anything. Although profit margins do play a role in the pricing of ink, it is not the only reason. Printing ink is inherently expensive to produce, and a lot goes into this. This is the most time-consuming and expensive aspect of producing ink for a printer. Whilst cartridges are very small, a lot goes into them. All the individual elements in an ink cartridge must work together in-order to ensure the ink actually gets to the paper and remains there during printing. Also, getting the cartridge to work efficiently and waste a minimal amount of ink takes lots of development time, further driving up the cost of the final product. Ink is not a natural resource; it must be carefully made. Ink includes several specialized solutions, ingredients, and solvents. Some of these ingredients prevent the ink from damaging the paper, some ensure that only the right amount gets released and others ensure that the ink stays put and does not run. All this further adds to the cost and is reflected in the price of an ink cartridge. Different types of printers take different cartridges, even when they’re all made by the same manufacturer. Each different ink cartridge is designed to work in a specific way to deliver a specific solution for the end-user. This, again, requires a lot of research and development in-house which comes at a cost. Companies must keep up with emerging trends in technology and release new printers and cartridges which meet consumer demand. Even with all the research and development in the world, ink cartridges are still relatively inefficient. 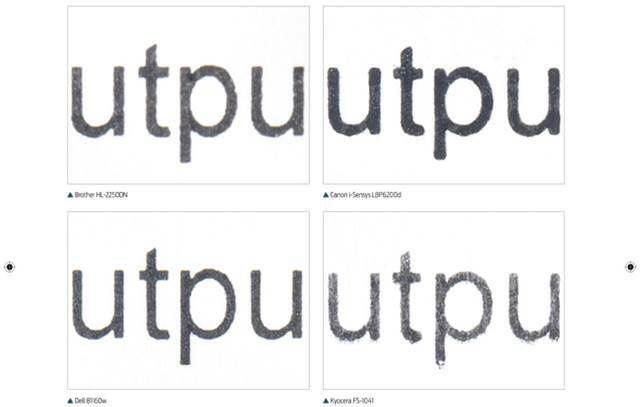 Ink is used even whilst the printer is in stand-by mode and is not actively printing. Small amounts of ink are used by the printer to ensure nozzles do not dry up and to force any accumulating air bubbles out of its mechanism. Over time, this can account for a large percentage of your ink use. To get the most out of your printer, you need to be using one which is right for your needs. If you are printing many documents on paper each day, a printer made for producing photographs is clearly the wrong choice for you and vice-versa. On the other hand, if you only occasionally print photographs then you should invest in a printer which is designed for occasional use. Assess whether you need a printer, too. If you have a printer which remains dormant for most of the time you may save more money by using printing facilities available at places such as local libraries, or by asking a friend. If printing ink remains dormant in a printer for too long, it can often dry up and damage the machine itself. 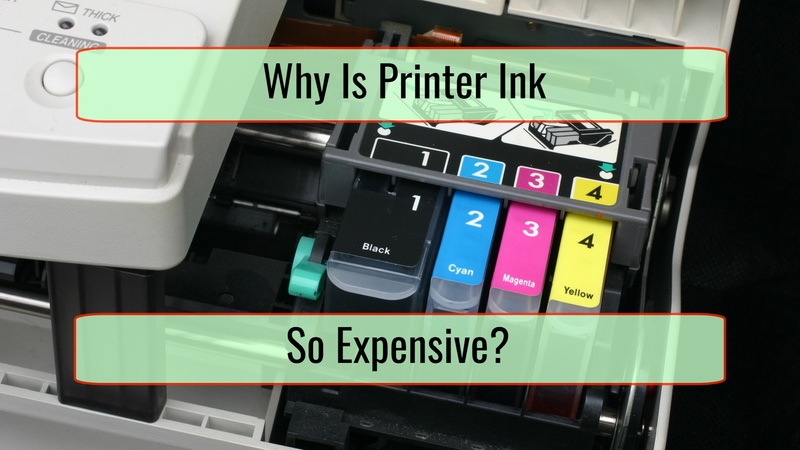 It is unsurprising that printer and ink manufacturers have been quick to defend their position and have put forth arguments on multiple occasions for the high price of their products. HP, for example, have argued that they spend over $1 billion each year on ink research and development alone, pointing out that printing inks must withstand heats reaching as high as 300 degrees and being deployed at over 30 miles per hour onto the paper at a rate of over 30,000 drops per second. Although these numbers may not mean very much to you and me, it is clear to see that printing ink is a commodity which is very precise, something which comes at a high price point. With printing ink getting better and more efficient each year and the price points remaining roughly the same, it is a small price to pay for an essential commodity which is constantly improving. When push comes to shove, most consumers are willing to pay these high prices for printing ink and whilst they continue to do so, manufacturers are unlikely to move from their current position. After all, economics dictates that the price of something is only worth the amount of money which consumers are willing to part with. Given that these companies have been producing print-related products for a great many years without sufferance, it is clear that there are a great many who can appreciate just what goes into producing such an important product. There are several ways to save money on printing ink. Most of the time, consumers can make massive savings simply by behaving in a more efficient manner and taking steps to ensure that they are following best printing practices.